Whitehouse was set up on 1st September 1991. This means that this year we celebrate our 20th anniversary. In that time we have provided services for over 100 clients, worked in over 30 countries, had over 2,000 delegates attend our courses and have numerous users of our software. This probably explains why we've only had time to publish four newsletters! We first began presenting our open-access courses in The Netherlands in 1995. Over 250 delegates, from over 40 companies, have attended what is now a regular event. After a couple of years in Rijswijk, in 2012 they will be back in Delft. More details of the content are available on our web site. Information on fees and location can be obtained from the web site of our partner Paperwork. Interested in an in-house course? These can be tailored as required and are a more economic solution if there are four delegates or more. The full range of modules is described on our web site. We can also structure on-site courses around some real controllers - a very effective way of demonstrating that the techniques really work! Would like to understand more about the technical content of courses, or how companies have used them? Just contact us. We did try to let everyone know of our new website. We've brought all the details of our services and software up to date - together with a much enlarged client list. And we've added our new articles - and have given them all a smarter look. Watch out for some free downloads that we're adding later this year that will help with controller design and tuning. We can also be found on LinkedIn. At the time of writing this newsletter, we had almost 3,000 people in our network. Please join us, particularly if you're interested in what we're doing with our training and Myke King's book. And we're also still very active in APC-Network. If you've not already joined, why not take a look at it? The most recent of our papers Turned off by teaching was published in The Chemical Engineer in April this year. Aimed at persuading universities to reduce the amount of irrelevant control theory still included in most chemical engineering courses, it's already caused quite a stir. This and older articles are available on our web site. They offer advice on many aspects of process control and information systems. Some of them are pretty large files so some patience might be required in downloading them. Not heard of Whitehouse before? While training is an important part of business, we are primarily an independent consulting organisation specialising in the practical application of advanced control and information systems to the process industries. Our aim is to ensure our clients exploit all the profit improvement opportunities in the most cost effective way. Since we provide neither the technology nor implementation services our clients can be confident that the advice we offer is impartial. Whitehouse was established 20 years ago and has worked with many of the world's leading companies. Its consultants each have around 35 years experience. Full details of our services are available from our website. This also provides clients lists and contact details. Earlier this year our founder, Myke King, achieved a long-held objective to publish a book. Using the minimum of mathematics, it aims to teach the practical application of process control. It was developed from our courses and includes all of their content, plus a whole lot of other good stuff. Initial indications are that it is selling well. The first print run sold out quickly and the publisher, Wiley, has just released the reprint. It's been in the list of top-selling chemical engineering books and has often been in the top 2% of Amazon's best seller list of over 8 million books. Its ranking was helped by one engineer who bought five copies to give to his colleagues! We've had a few suggestions about what else the book might have covered. Any comments are very welcome if there is ever a second edition or perhaps a companion book. Just e-mail them to the author. 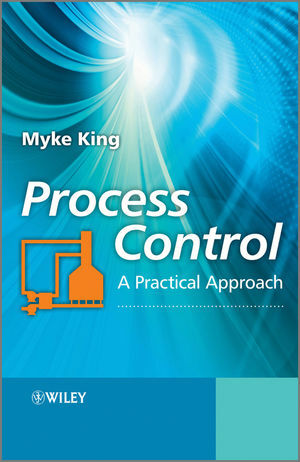 Myke was interviewed by Chemistry Views about the book and what led him to write it. Click here to see a full transcript of the interview. Whitehouse prides itself on its flexibility, no more so than in the way it delivers its training. Since our last newsletter we have packaged most of our modules as webinars. BP was the first to take advantage of these and commissioned Whitehouse to present 14 two-hour sessions - with each repeated to suit different time zones. Each session included the normal presentation material but with live demonstrations replacing the hands-on exercises normally completed by the students. While perhaps not as effective, it does offer a very cost effective solution - particularly to clients that would otherwise need to have its staff travel from worldwide locations. Whitehouse was also commissioned by the UK's Institution of Chemical Engineers Fluid Separations Subject Group to present a webinar on the control of distillation columns. While only providing only a very brief introduction it was judged to be very valuable. Repsol has, over the years, commissioned Whitehouse to run several of its courses in its Madrid HQ with delegates attending from all of its sites in Spain and Portugal. But the latest course was presented in its refinery in Cartagena with the hands-on exercises carried out on real controllers. Around 30 controllers were improved by around 15 delegates during the one-week course. It proved a very effective approach to learning and naturally had an immediate impact on process performance. Since 2008, Whitehouse has worked with the Malaysian oil company Petronas, assisting with its technical career progression program. Whitehouse's role has been to interview its more senior control engineers to assess their career potential and identify how they might advance. This has enabled Whitehouse to provided customised training services to exactly match their needs. Perhaps one of the more unusual courses was presented to delegates from Priva - a Dutch company specialising in the control of greenhouses and other buildings. One of its engineers, Theo Rieswijk, attended Whitehouse's open-access course and realised that his colleagues would also find it valuable. While by no means an industry with which Whitehouse was familiar the course material proved valuable and much will be used in future systems delivered by Priva. While its courses are normally presented in English, Whitehouse has successfully presented them in both Russian and Japanese. Well beyond Whitehouse's linguistic capabilities the simultaneous interpretation provided by the client proved no hurdle to their success. The course notes were translated as necessary and the delegates had little difficultly using the supporting software. Both occasions resulted in further courses being ordered. We have released version 11 of our Process Control Engineering Toolkit and Training software. Many of the modules in the Toolkit have been enhanced. In particular the PID tuning package has been expanded to cover more vendor-specific control algorithms (such as ABB, Emerson, Eurotherm, Foxboro, Hartman & Braun, Honeywell and Yokogawa). In addition to Whitehouse's well-proven tuning technique it also includes the option of applying IMC tuning (also known as the Lambda or Direct Synthesis method) and an approach that enables the Ziegler-Nichols closed loop method to be applied without the need to cause the process to oscillate. Full details are on the software pages of our web site. For almost 20 years clients have only been able to licence the software on a single-site or corporate basis. In response to a number of requests Whitehouse now also offers single-user licences. At about a third of the cost of a single-site licence, they would suit individuals and smaller companies. Whitehouse also now offers substantial discounts for universities wishing to use it to support their teaching. It is not our policy to continue to send unsolicited e-mail to our clients. Recipients preferring not to receive future issues should not hesitate to e-mail its editor. The same address can be used to change the recipient or to add others.